The family Serra is originally from Genova and descends from Sigismondo detto Serra (+ after 1139) son of Ottone Visconti. His son Corso Serra (+ 1172) was an admiral and consul of Genova. In the 16th century the family became patricians of the Republic. Francesco Maria Serra (1677-1744) was the first to carry the title Marchese. His grandson Giovanni Battista Marchese Serra (1742-1787) married Donna Maria Antonia Oliva Grimaldi, 7.Principessa di Gerace, Duchessa di Terranova. His branch, the Principi di Gerace, died out in the male line in 1947. The natural daughter of the last Principe married the Fürst zu Windisch-Graetz. Giovanni Battista´s uncle Giuseppe Marchese Serra (1714-1763) had married Donna Laura Serra, 3.Duchessa di Cassano. 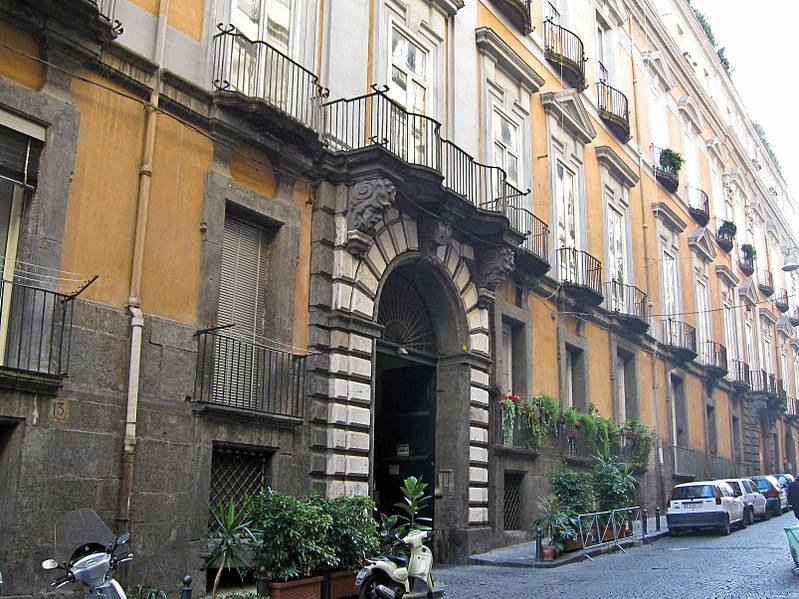 She descended from a younger line of the family; Giovan Francesco Serra (1609-1656) entered Spanish service and bought the fiefdom Cassano in Naples. His son Giuseppe Serra (+ 1715) was created Duca di Cassano on 23-11-1667. 66. Don Luigi Giusso, since 4-3-1853 comes romanus and since 11-5-1857 Duca del Galdo * Genua 18-5-1784 + Napels 23-2-1859; Zn van Nob. Gerolamo G.
68. Alexander (Alessandro) Grant * … + 1857; Moved to Italy around 1830, Rettore del Collegio Scozzese; Zn van Hugh G.